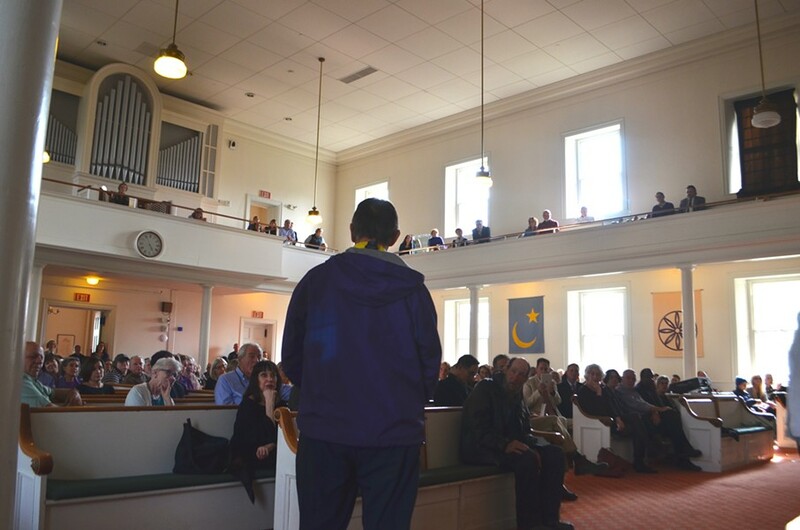 A diverse crowd filled the Unitarian Church in Burlington Monday to memorialize Matt Young, a beloved local credited with starting the city's street outreach team to provide services to members of the community who slipped through the cracks. Young, who would have turned 69 on Monday, died from cancer on March 23. City officials, social workers, members of the homeless population, coworkers and business owners filled the pews and trickled into the church balconies to express appreciation for a man who helped so many. 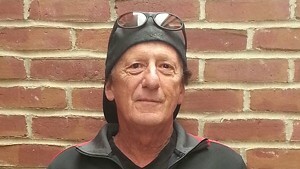 Community members described him as a fixture in Burlington who could inevitably be found strolling down Church Street, baseball cap turned backward, eager to strike up a conversation with anyone who crossed his path. 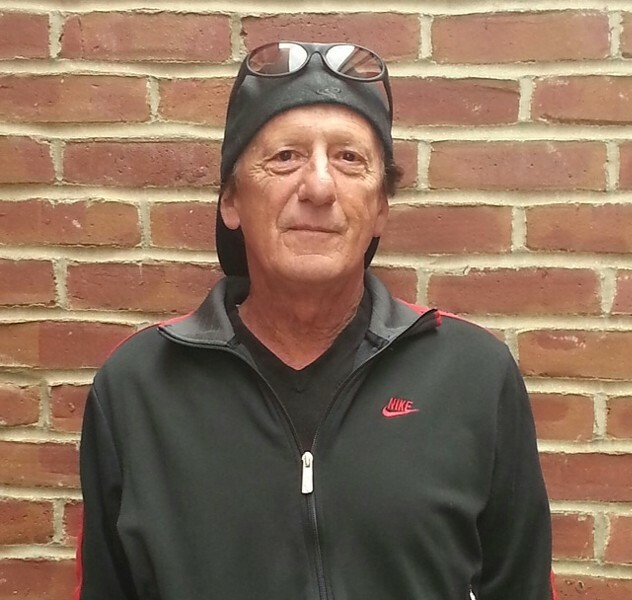 "He was an avid observer of human nature and humanity" who could relate to people "of any societal class and any emotional or mental state," said Tammy Boudah, who worked with Young on the street outreach team for 15 years. "His starting point for any interaction is 'What's going on for this person? What is this person experiencing?'" The Long Island native worked for years in the food industry, including a decade spent running his own restaurants in Boston and Martha's Vineyard. Young moved to Burlington 27 years ago and worked as a bartender and chef. He found his calling in social work after he realized he had all the necessary skills. "If you can talk to drunk people, you can talk to anyone," his wife, Sheryl Bellman, recalled him saying. A community member remembers Matt Young at his memorial service. 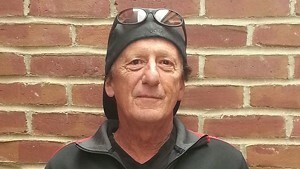 In 2000, he was hired to start the Howard Center's street outreach team, a group designed to provide services to the homeless, those suffering from substance abuse or mental health issues, and those with other unmet needs. Young would bundle up in layers to walk the streets in all kinds of inclement weather talking to friends and strangers alike. During his tenure patrolling the Queen City's streets, the opiate epidemic exploded and mental health care shifted dramatically as the state shifted away from institutionalization, Mayor Miro Weinberger said Monday while addressing the gathering. "What was our answer to those problems? Our answer was Matt Young," Weinberger said. "He was our best response to these emerging problems for a long time." Young retained an intimate knowledge of the city's goings-on, remembered Mike Schirling, a former Burlington police chief who now serves as secretary of the Agency of Commerce and Community Development. Day to day, "he would know what the city needed," Schirling said. Toward the end of the two-hour service, several people, some of whom did not introduce themselves, streamed to the front of the church to remember their friend. One woman called Young "the father I never had." Another man thanked Young for retaining faith in him, despite his troubles with the law, mental health difficulties, and alienation from friends and family alike. "I wouldn't be where I am without Matt," he said.